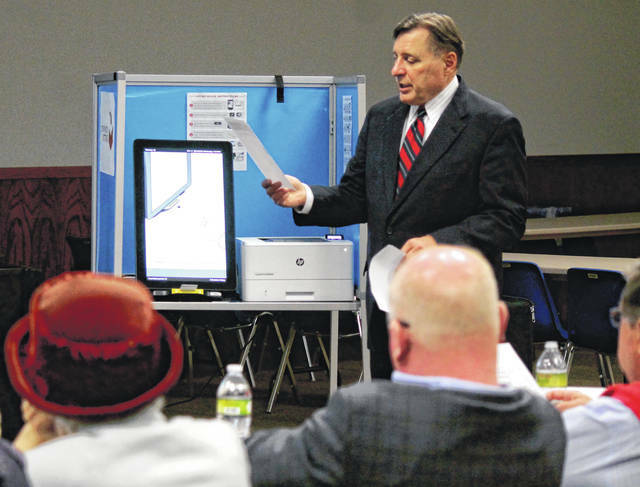 https://www.fairborndailyherald.com/wp-content/uploads/sites/50/2019/04/web1_Beckstrand-1.jpgAnna Bolton | Greene County News Dominion Voting Systems Sales Manager Mark Beckstrand shows the ImageCast X to Greene County Board of Elections officials and Board of Commissioners March 6.
https://www.fairborndailyherald.com/wp-content/uploads/sites/50/2019/04/web1_ESS-1.jpgRegional Sales Manager Craig Seibert from Election Systems & Software (ES&S) demonstrates using various voting machines — DS450, ExpressVote and DS200. 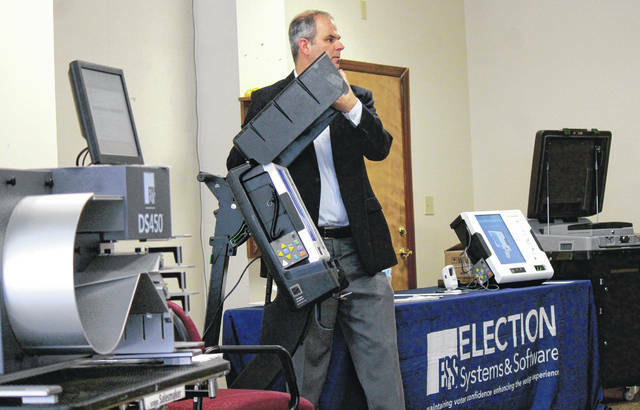 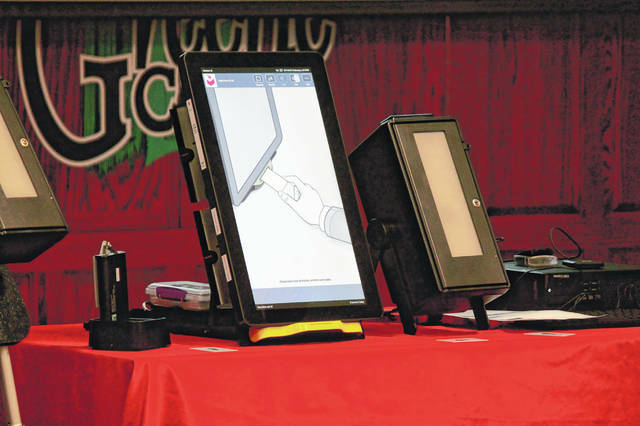 https://www.fairborndailyherald.com/wp-content/uploads/sites/50/2019/04/web1_ImageCastX-1.jpgDominion’s ImageCast X, which can be paired with a Voter Verifiable Paper Audit Trail (VVPAT) printer, has a 21-inch touchscreen. 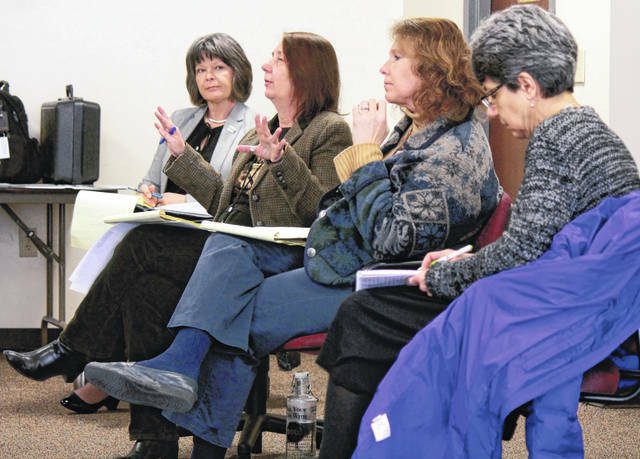 https://www.fairborndailyherald.com/wp-content/uploads/sites/50/2019/04/web1_McCoy-1.jpgBoard of Elections Director Llyn McCoy speaks during the meeting as Board of Commissioners Risk Management Director Lisa Hale, Board of Elections Deputy Director Denise Percival and Board of Commissioners Clerk Lisa Mock listen.